My neice, Sierra, is having her first birthday in July and since my sister and her family are visiting Canada for a couple of weddings, we thought we'd get a little photoshoot in. 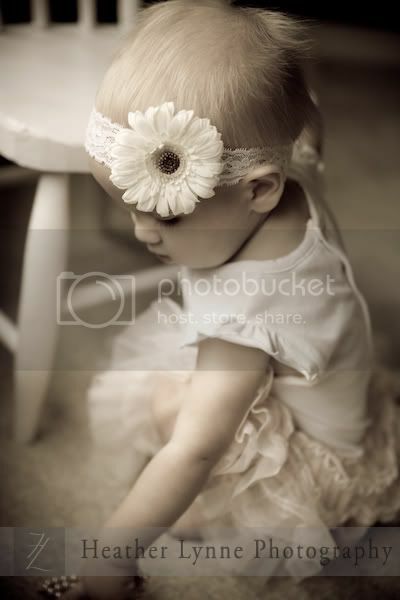 You might remember her from her newborn session posted on the blog nearly a year ago. This time, we loaded the car up with a chair, a helium balloon, and a bassinett, and took off! After a quick little session due to the one-year-old attention span, we came home for naptime. 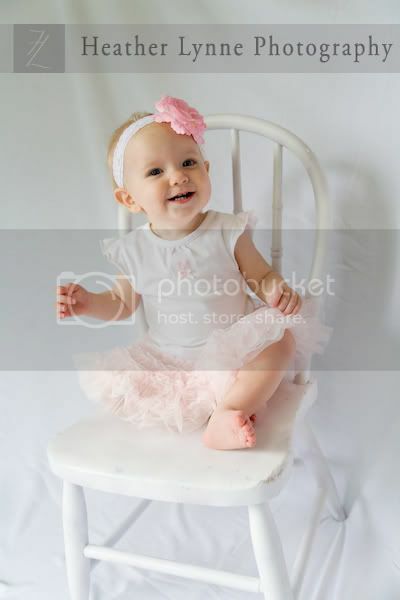 Thanks to some rainy weather, we ended up experimenting with a makeshift studio in my mom's living room and we ended up with some more cute shots. These are just a few of my favourites, but I loved so many of them! Love the yellow basket shot, nice! SO CUTE! I can't believe how much older she looks. 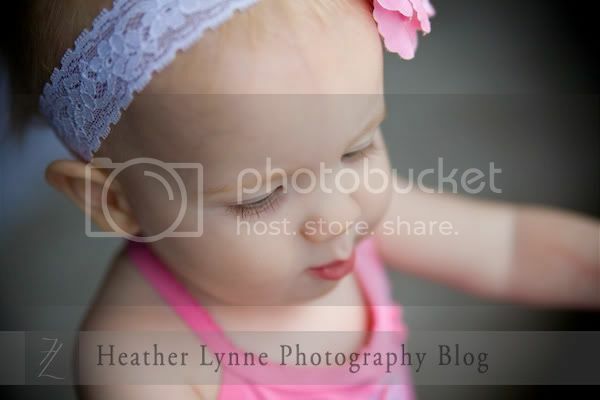 You did an awesome job with the pics, Heather! Heather these are wonderful! Love the balloon! So awesome! She is a darling! I love the vibrant colors of the basket shot. You captured a great moment! I love the lashes and the soft fuzzy hair. Great photos! LOVE the shot with the yellow basket and of course the first picture is just gorgeous! What a doll! How adorable!!! :) great pics!! These are great Heather I love them! I love that last one the MOST. So cute. Oh Heather! These are simply precious and divine! 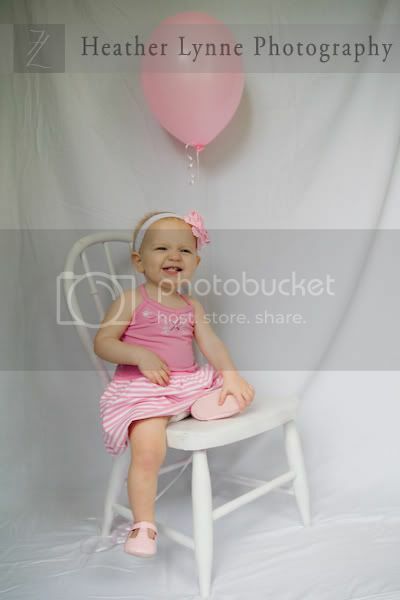 I love the bassinett shot and all of the rest of them! You have such a gift with children. Love the one of her in the basket! So cute!